More than half of Frankfurt’s population is made up of immigrants from over 180 different countries, and as a result, almost every culinary taste is catered to—and you can pick up a street snack for a euro or two, or blow your savings on a Michelin-starred meal. Yet Frankfurt has also firmly hung onto own food culture and traditions, with Apfelwein (cider) taverns as the city’s most beloved spots for local fare. 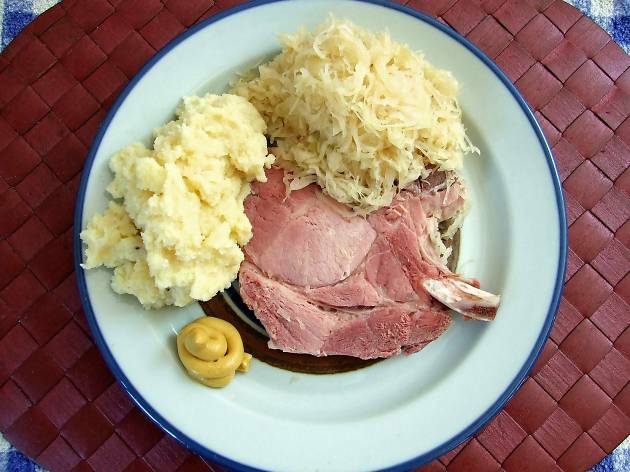 Frankfurt-dwellers of all ages share tables in these lively rustic pubs, enjoying hearty plates of pork, beef and sausages with bread, Sauerkraut and a jug of potent Apfelwein. On weekends, the markets buzz with happy people eating, drinking and enjoying life: Frankfurters know how to have fun. 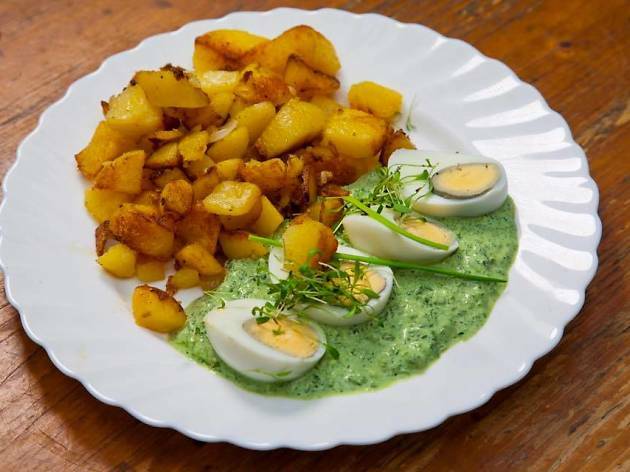 Known as Grie Soß in the local dialect, Grüne Soße (green sauce) is a fresh, cold sauce made with eggs, sour cream and seven specific herbs. It’s a specialty of Frankfurt and the wider federal state of Hessen, but has EU-protected geographical status, meaning the herbs can only be grown in a very specific area for the sauce to be the real deal. 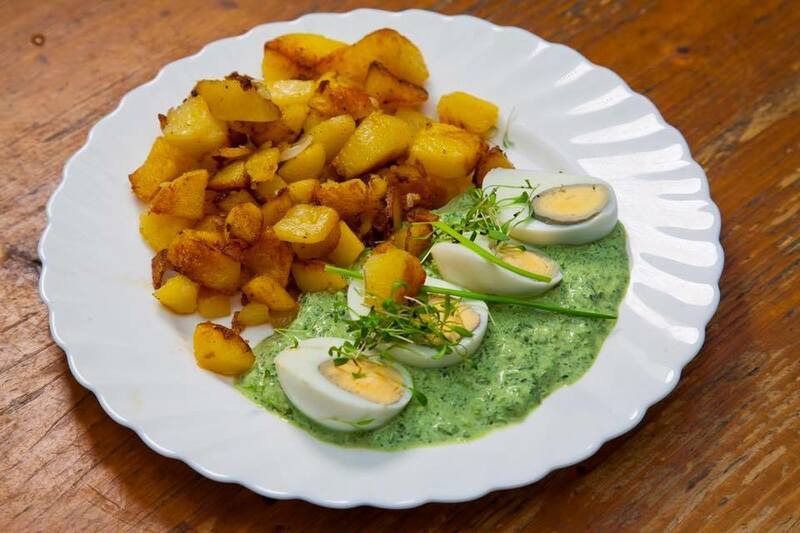 The most traditional way to enjoy Grüne Soße is with halved boiled eggs and boiled or fried potatoes, but in Frankfurt’s traditional taverns, it’s also served with a pork or veal Schnitzel, known as a “Frankfurter Schnitzel." 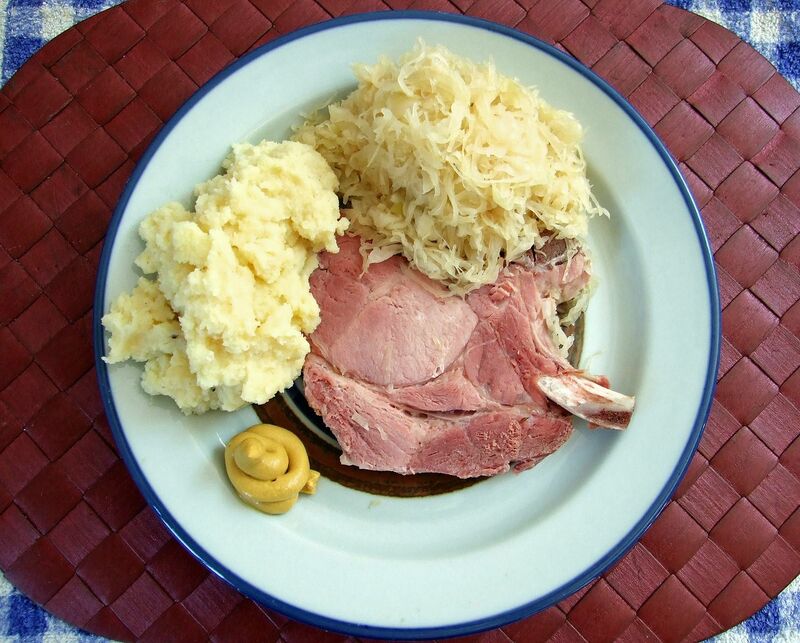 Frankfurter Rippchen are a specialty from Hessen: thick cut, cured pork chops on the bone, served with a mound of Sauerkraut and mashed potatoes or simply a slice of bread or a portion of potato salad. 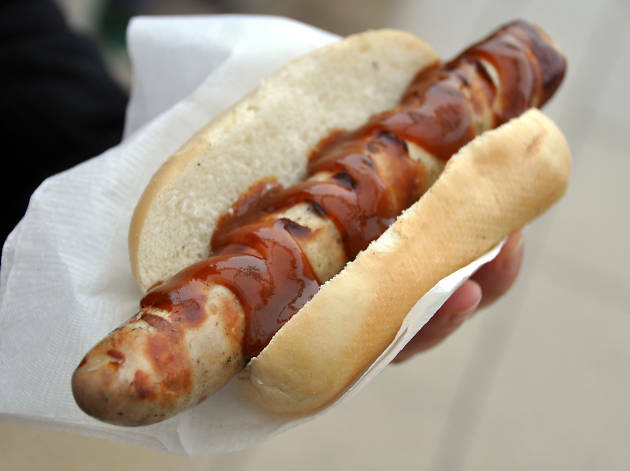 Once considered a poor person’s dish, Frankfurter Rippchen is now a meal for all meat-lovers with an appetite. The pork might look a rather alarming pink colour thanks to the curing process, but rest assured it’s thoroughly cooked through (in Sauerkraut or meat stock) and absolutely delicious. Fleischwurst is a finely ground and dense, garlicky ring sausage better known in other parts of the world as bologna. Here, it’s served warm in a chunk that needs to be peeled—slit the skin with a knife and it should come off easily—and it’s most commonly eaten with a bread roll and a dollop of mustard. 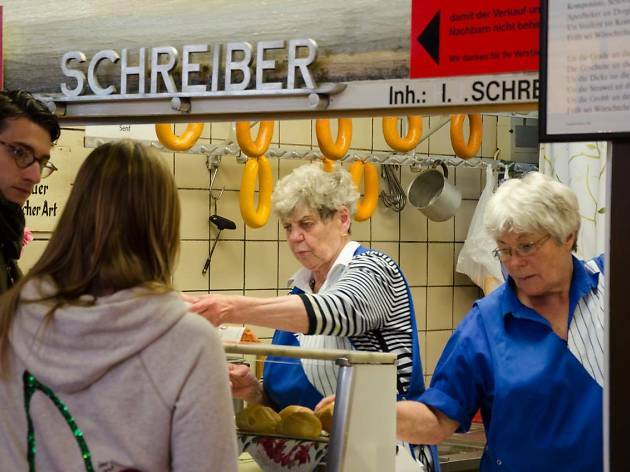 A popular street snack served at butcher’s shops and markets (it’s easy to eat standing at a high table with a glass of wine) Fleischwurst makes for a solid lunch, too. 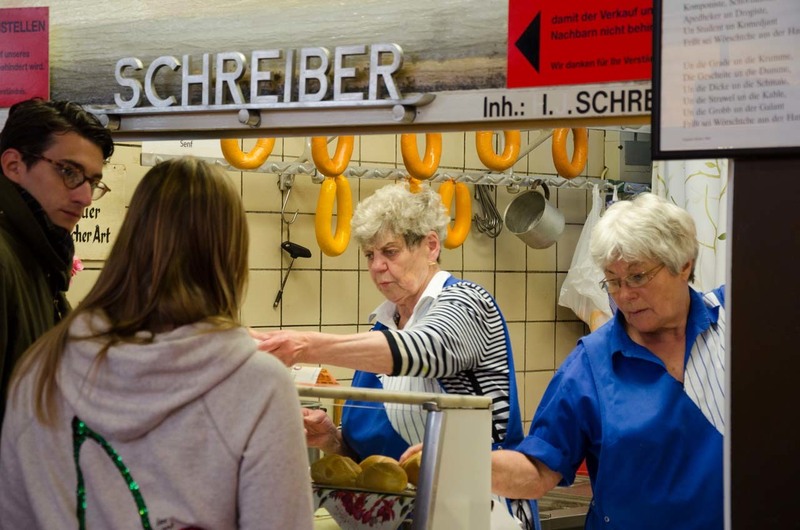 Despite its complex culinary traditions and fiercely regional, seasonal cuisine, when most people think of Germany’s food, it’s sausages that spring to mind. 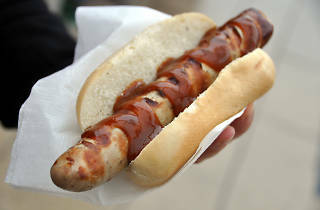 And not without reason: sausages are a popular meal or snack in Germany, and they can be very, very good. Bratwürste are cooking sausages that are perfect for grilling. They vary in proportions and seasonings from region to region, but they’re mostly made of pork or beef. 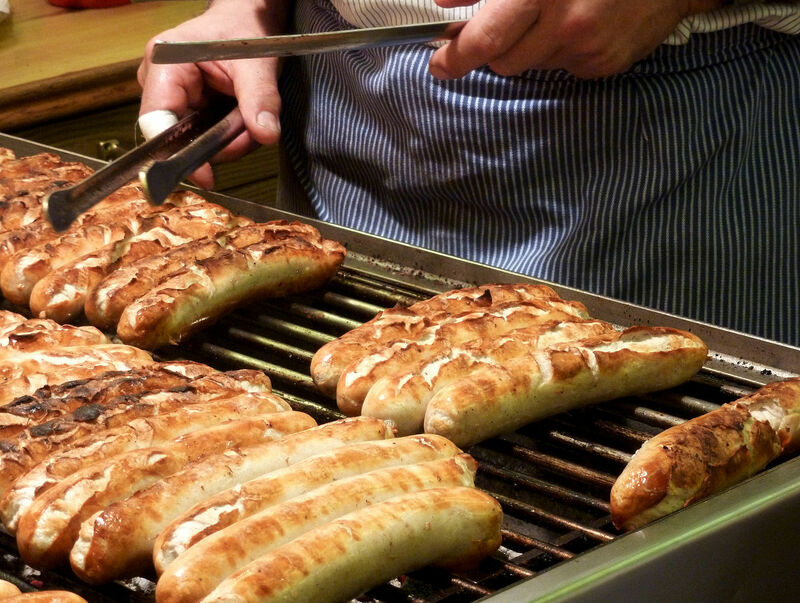 In restaurants, Bratwürste are served with fried potatoes or potato salad, but as a street snack they come stuffed into a bread roll. 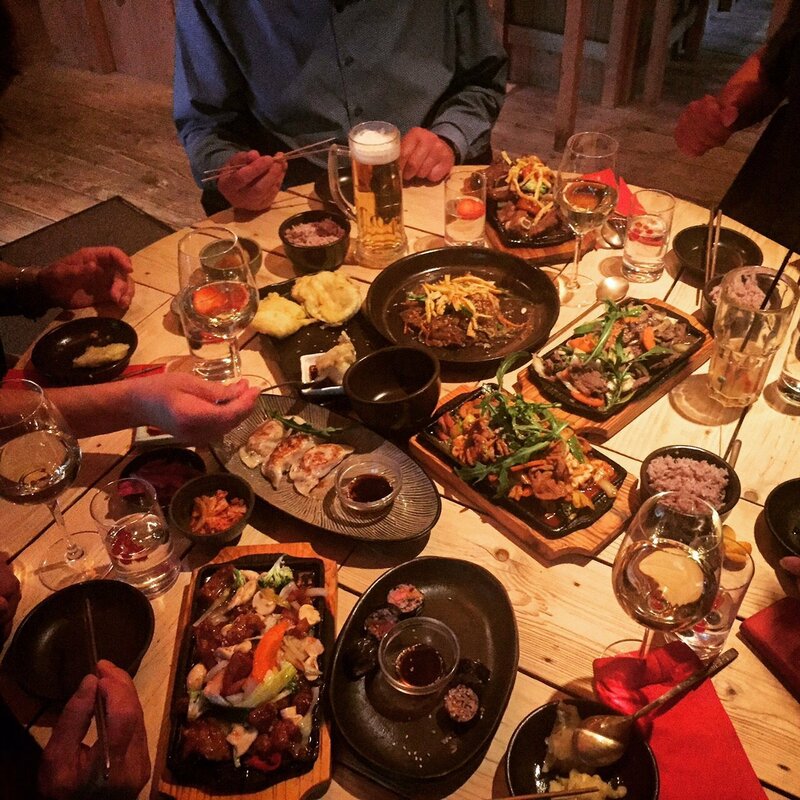 Frankfurt is home to Europe’s second largest Korean community, and as a result, lots of supermarkets and restaurants have sprung up all over the city. 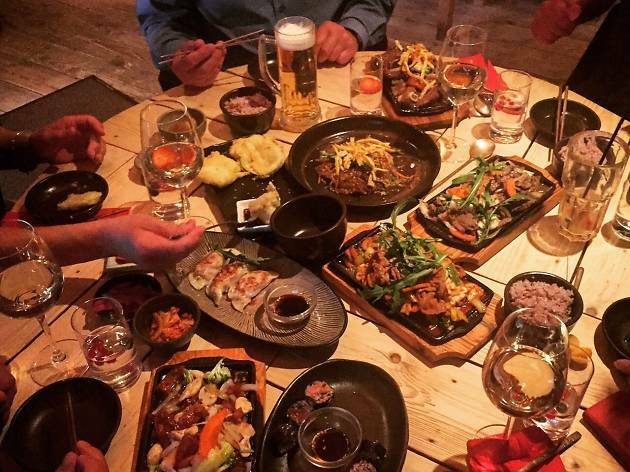 Perhaps the best known Korean dish in this part of the world is bibimbap, which trendy foodies would probably refer to as a “rice bowl” topped with raw and sautéed vegetables, strips of beef, a fried or raw egg and seasonings that include soy sauce and spicy chilli or fermented soybean paste. 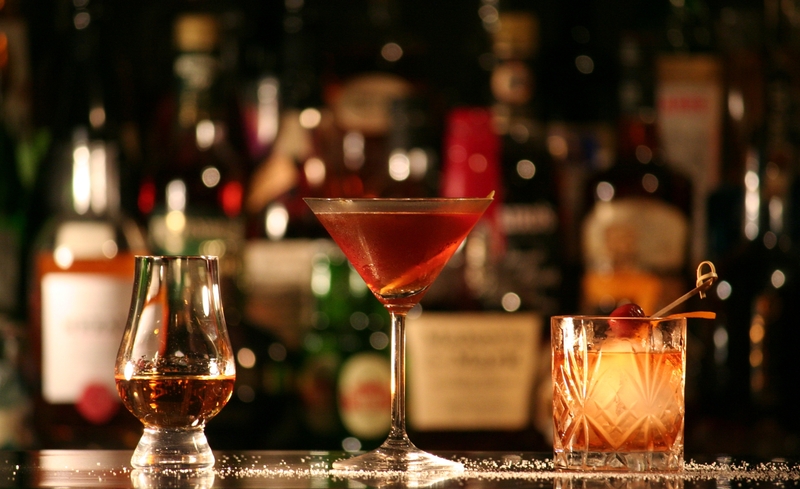 It’s a great pleasure to mix it all together before digging in. 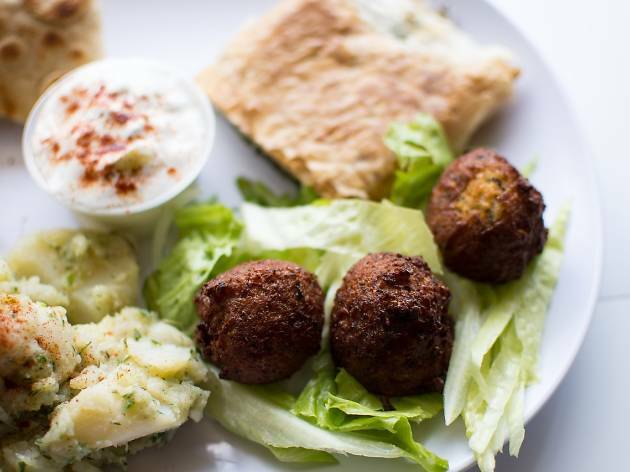 Thanks to a large population of Arabs in Germany, many of whom arrived during the 1970s as “guest workers” or since then as refugees, falafel dishes have become a popular vegetarian option at Imbisse (snack bars) and restaurants up and down the country. A traditional food in the Middle East, falafel in Germany comes in the form of a ball of ground chickpeas or fava beans that is deep fried and served either as is, as a snack, or sandwiched in a pocket of pita bread with salad, pickled vegetables and various sauces such as chilli, yoghurt or tahini. Few nations take breakfast quite as seriously as the Germans. At home on a weekend, candles might be lit and a pot of tea set upon a warmer set amongst a spread of cold sliced meats and cheeses, warm bread rolls, some pickles and mustard, and mostly likely a soft-boiled egg. 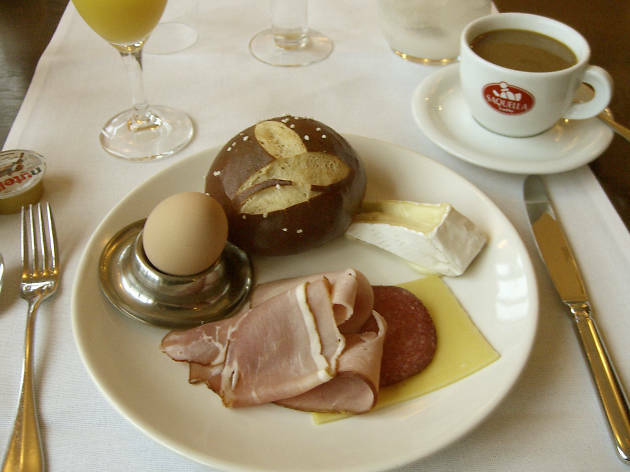 A German breakfast is as delicious as it is fortifying, and—sometimes arriving impressively on a tiered stand—makes for a more than adequate brunch. 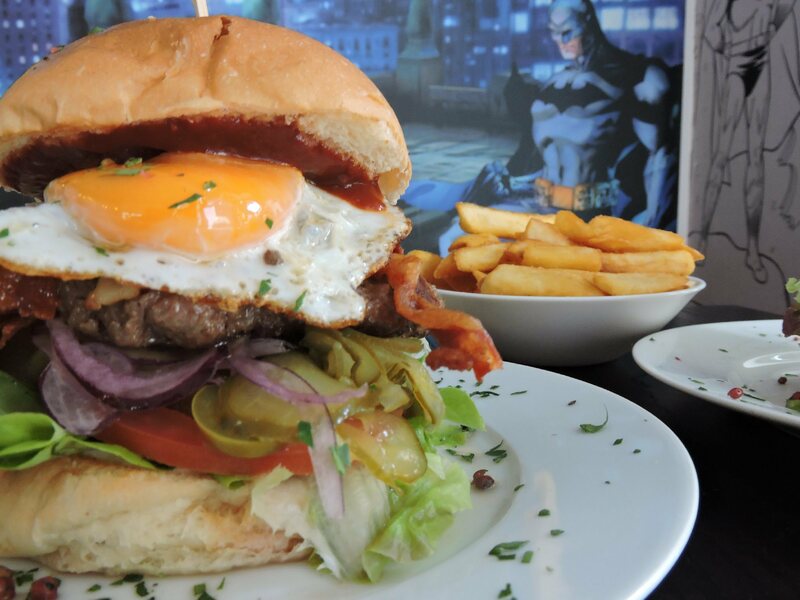 Frankfurt probably isn’t the first city to leap to mind when you think of burgers, but thanks to the city’s international inhabitants and many visitors from around the globe, it’s one that in recent years has come to truly love the meaty sandwich. The Germans are quite experimental with their burgers, so you’ll often find interesting fillings to order with your beef patty and bun—for some reason, we’re particularly fond of making them soggy with lashings of cocktail sauce. 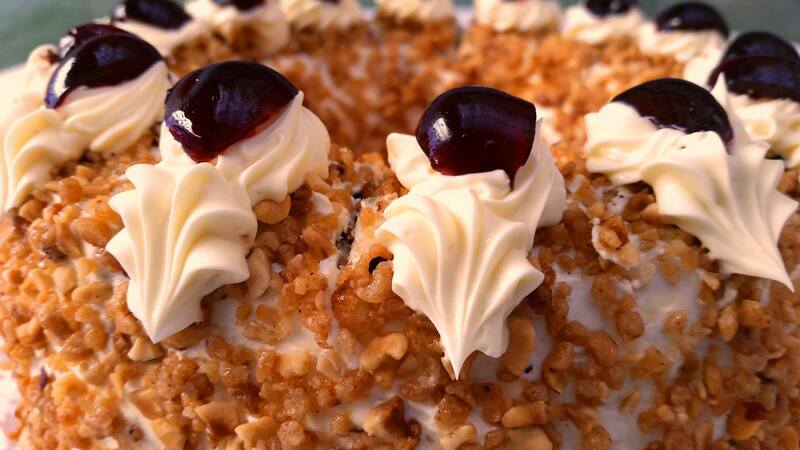 Frankfurter Kranz is a tall, extravagant-looking, ring-shaped cake resembling a crown (Kranz), a symbol of Frankfurt’s position many years ago as the crown of the German empire. 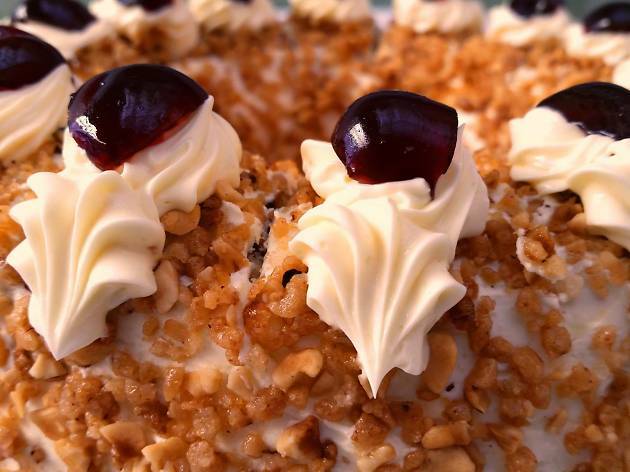 The sponge is sliced into three layers and then sandwiched with thick layers of buttercream and red-coloured jam (usually strawberry or black currant). It is then slathered with more buttercream and covered in flaked almonds, ground hazelnuts or caramel nut brittle; served in vertical slices it looks very striking, and is delicious to boot. Commonly served as a snack with glass of Apfelwein, Handkäse is a regional sour milk cheese formed into a small puck by hand (hence the name, “hand cheese”). 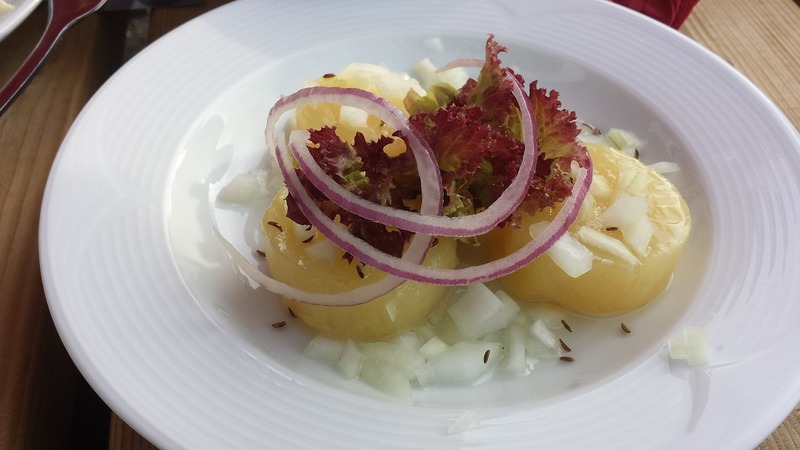 It’s marinated in oil and vinegar and sprinkled with onions and caraway before serving; the marinade is known as Musik, some say rather cheekily because of the, ahem, “music” that occurs post digestion, thanks to the onions. 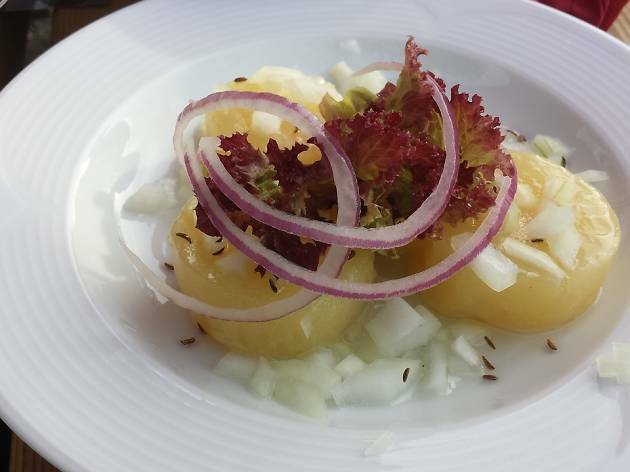 Handkäse mit Musik is a pungent dish with a very strong flavour; in Frankfurt, it’s eaten without a fork, simply atop of a slice of bread—use your knife to spread on some Musik before you take a bite. 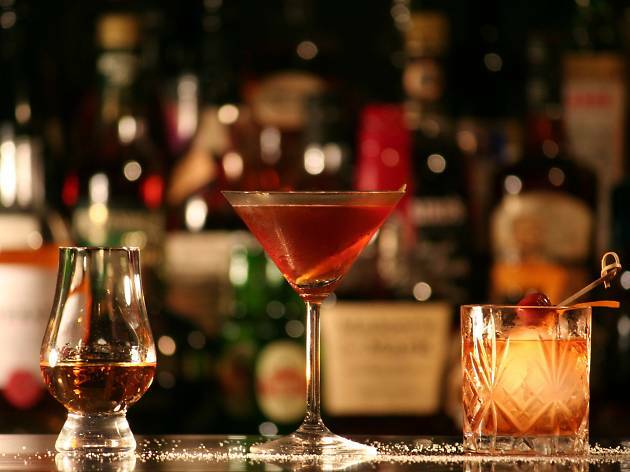 You’ll find your drink here, whether in a cocktail bar that’s firmly bitten on to the speakeasy trend, a back-to-basics pub or a hard-to find wine bar with an inviting, roaring fireplace.